Over the last week, I had the opportunity to attend the Game Developers Conference at the Moscone Center in San Francisco. It was a great learning experience and I highly recommend everyone that if given the opportunity to attend GDC, you must. 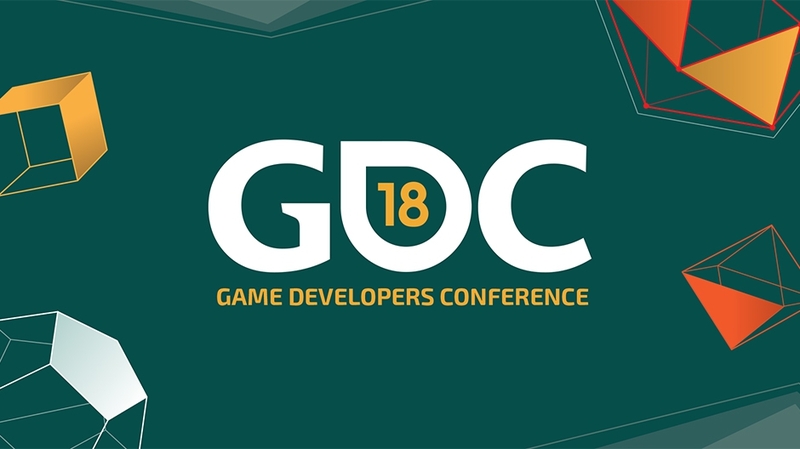 The reason I chose to attend the Game Developers Conference was to explore what types of opportunities the industry could provide me as a game designer and also to meet people already working in the industry and learn from their experiences and also to see if this was the right career path for me. While I may have accomplished these goals, attending GDC was an eye-opening experience that taught me so much more about the diversity of careers that exist within the field. Particularly, I was deeply impacted by attending the Independent Games Summit the two days leading up to the main conference. I highly suggest anyone interested in indie games and game design attend this particular portion of the conference. It was the most rewarding part, and I feel the conference would have been a letdown for me had I only attended the main three days. Attending GDC is a whirlwind of discussions, conversations, and exchanging of business cards. At times, it felt overwhelming, for an ambivert like me. Still, I would say the most beneficial growth I did at the conference came from these conversations. So many of the designers I met had had wonderfully twisting and turning careers. As someone who did not fully understand the extent of the role of video game designers, this was a revelation. In addition, I did some networking that I hope will pay off later on down the road. My initial plan for the conference was to attend the Game Design workshops that were being held on the first two days of GDC. The workshop was being led by Stone Librande, Lead Designer at Riot Games and also an Adjunct Faculty at the Entertainment Technology Center. During the first day of the workshop, I very soon realised that Stone had built the curriculum for the workshop by things he had learnt from watch the Building Virtual Worlds class and the Game Design class at the ETC. Even though the workshop was good, I did not feel like I was learning anything new and after the first half of the day I decide to head to the Summits and other workshops. At the Summits, I attended many fantastic talks. I chose to focus my time on talks that would benefit me at my stage in my career. I avoided talks that seemed too hyper- focused on topics I would likely not encounter for a long time. I am happy I made this decision, as it prevented me from getting speaker-fatigue from all the panelists. Some of my favourite talks at the Summits were; Building Games That Can Be Understood at a Glance delivered by Zach Gage as part of the Independent Games Summit. 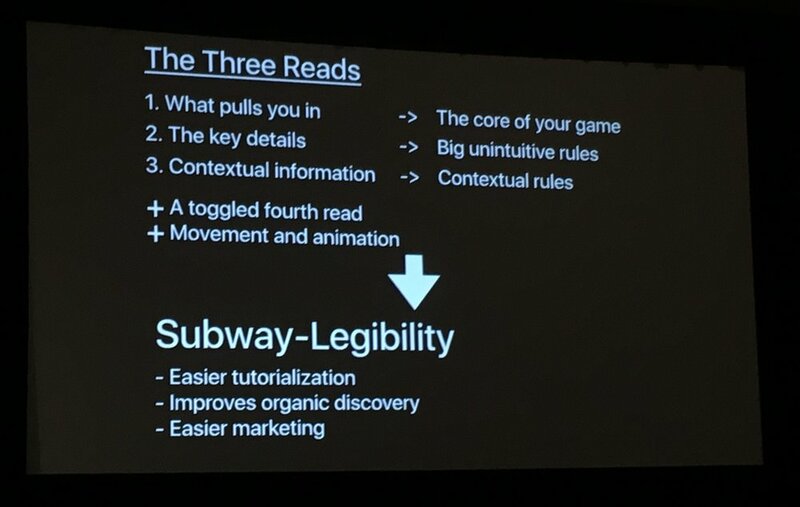 Zach talked about how his goal over the years as a designer and developer had transformed into making Subway-Legible games and he shared the techniques that he used to make such games. I also attended some of the Level Design workshops on the second day of the Summits, and even though I do not want to be a level designer in the industry, some of the talks were really good. One of my favourite talks from that series was the Level Design Workshop: Balancing Action and RPG in 'Horizon Zero Dawn' Quests deliver by Blake Rebouche, Lead Quest Designer at Guerilla Games. This was an interesting talk as he talked about his background in MMO RPGs and how that played into designing a quest that lies somewhere in the middle of an action game and an RPG game and how he had to think of conventional things differently. I also got the opportunity to talk to him after the talk and talk to him about The various system design techniques they use. Zach Gage's talk summary on Building Games that can be Understood in a glance. GDC is incredibly full of things to do. Talks, presentations, demos, parties, people, recruiters, and friends can all take up a large chunk of time. It is important to go in understanding that you will not be able to do everything you want. You should make a plan ahead of time, ranking what you wish to do most. I made friends, potential professional relationships, and fond memories. I certainly plan to attend again next year.